Price – Sometimes buying the latest release can be very expensive, but if your not too bothered about having the latest and greatest there are some bargains to be had from last seasons models. For example, you might pay the same for a model with the latest i5 processor and graphics card as you would for last the last generation i7 processor and graphics card. In terms of power, you might in this case get more for your money buying last seasons model. If money is no object, there are some absolute behemoths out there, but we’ll get to that later. Expandability – Does the laptop you are looking at have room for adding RAM or additional drives? or is it already at capacity? This is an important thing to consider if you want longevity, a machine that has room to improve for the future. Connectivity – What ports do you need and what ports does the laptop have? No point buying something that only has USB and HDMI if you are still relying on a VGA for some of your equipment. 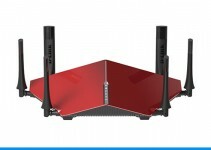 You also want to make sure there is a good Wi-Fi network card if your gaming layer is any distance away from your router. How Does It Handle The Games You Like? – When you spot one you like, check out the Frame Rate and performance levels at handling the games you like to play. You can do this usually on line with a little help from google. You can usually expect new machines with a decent dedicated graphics card to perform well and give you a good frame rate, but there are at times compatibility issues between graphics cards and some games. It’s better to be aware of this before you buy to avoid any disappointment. This fully featured gaming laptop won’t let you down. Its NVIDIA GeForce GTX 960M with 4GB GDDR5 memory is built to deliver some of the best possible portable graphics for modern games. You will be able to see them in brilliant clarity with this laptop’s 15.6 inch touchscreen display which is UHD, anti-glare, and optimized for wide angle viewing. Everything about this is built for speed. The 8 GB RAM, 1 TB Hybrid Hard Drive with 8GB Embedded Flash Cache, 6th Gen Intel i7 quad core processor, and Windows 10 all make sure performance is top-notch. Any gamer can recognize ASUS as a brand with a reputation for rock-solid dependability as well as great performance. Put an ASUS in the hands of the incredible team at Computer Upgrade Team (CUK) and what you get is nothing short of amazing. This laptop comes with a weighty price tag, but what you get for that money is outstanding. 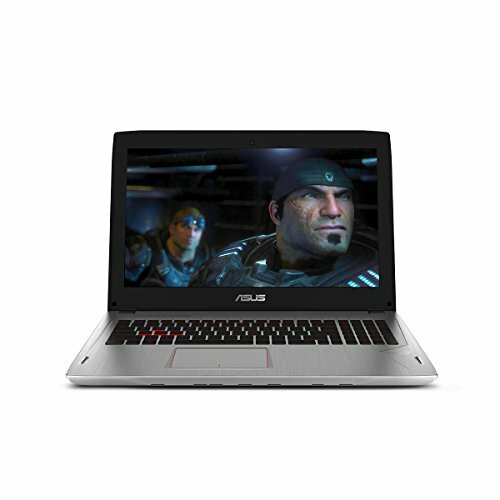 The CUK ASUS 15-inch gaming laptop comes with a staggering 24 GB of RAM, 512 GB SSD and 1 TB HDD. Thats all the RAM and storage memory you will ever need. It also comes with the latest 7th generation i7-7700HQ processor and NVIDIA GTX 1060 3GB dedicated graphics card to get the max out of the Full HD screen. This machine is built for serious gaming. on top of that you get a tactile, red-backlit, scissor switch keyboard and an enhanced cooling system comprising of heat pipes and dual fans. In terms of connectivity, there are a total of 3 USB ports (mix of USB 2.o and 3.0), 1 HDMI, audio jack and card reader. There is also a LAN ethernet port if you feel the need to plug it in. This really is a beast of a gaming laptop packed with power to help you get the most out of your games. When the baseline gaming specs just aren’t enough, that’s where the ASUS ROG STRIX GL503VD gaming laptop comes in. In addition to the standard FHD display and fast dedicated 4 GB NVIDIA GeForce GTX 1050 graphics graphics card, it has a hefty 1TB solid state hybrid drive and 16GB of RAM. That means you can install even more games and run even more applications at any one time. There are 3 USB 3.0 ports and 2 USB 2.0 ports, as well as your expected HDMI, card reader, LAN and audio jack. The slim profile of the ASUS ROG STRIX GL503VD is deceiving to how much technology resides inside. You get a proper built-in, backlit gaming keyboard with anti ghosting and n key rollover, and the keys are rated for 20 million keystrokes. To top it all off the dual fan and heat pipe cooling system keeps all of the tech in this gaming laptop cool, working at top performance. This really is an impressive machine from ASUS. With VR now becoming widely affordable, you can expect more and more games to be released in that immersive format from here on in. With that in mind, the Acer Predator Helios 300 Gaming Laptop comes ready and willing to satisfy your VR gaming needs. The 7th gen i7-7700HQ Quad Core Processor and dedicated GeForce GTX 1060 with 6 GB GDDR5 VRAM ensure the power and speed is there when you need it. 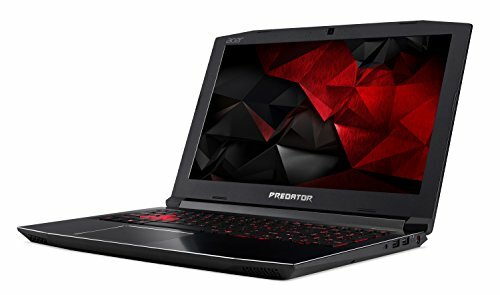 In terms of memory, the Acer Predator Helios 300 Gaming Laptop comes with 16GB DDR4 RAM and for storage, a 256GB SSD. The storage memory may be a little on the light side against come of the other laptops in this list, but there are plenty of ports available if you want to invest in an external drive. This laptop is not new, but it’s a great example of what you can get if you aim for ‘last seasons’ models. It comes in at a few hundred bucks cheaper than it’s successor but offers a ton of features for the price. 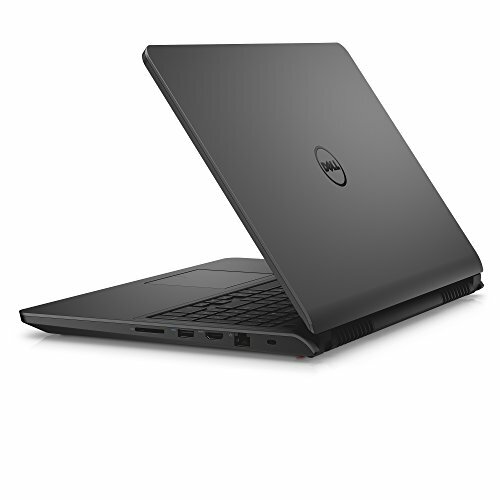 Some of these features include a 1 TB HDD, dedicated 2 GB NVIDIA GTX 960 graphics card and 16 GB RAM. It even has the option of upgrading the hard drive and VRAM when you buy. What sets this one apart is its massive 17.3 inch HD display. Your graphics will pop more than ever with this eye-catching screen. 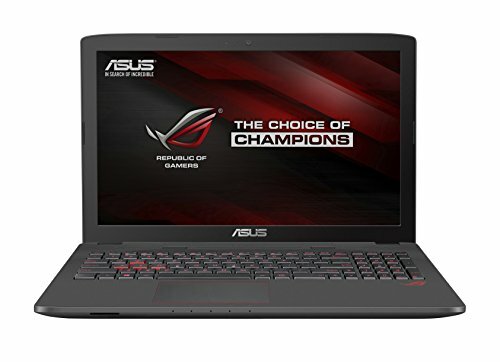 This makes not just a great gaming laptop, but also a great general-purpose computer. Everything about the ASUS ROG Strix GL502VM gaming laptop is streamlined and powerful, from the components inside to the case. The sleek and slim metalic case looks like it means business. It houses a 1TB HDD and 128 GB SSD, NVIDIA 1060 6GB dedicated graphics card, and 16GB of RAM. For processing power you get the latest generation i7-7700HQ Processor providing all the power you need for the latest games, including VR technology. The backlit chiclet gaming keyboard will keep you going through the darker hours and you can install as many games as you could want on its storage and play them at some of the highest frame-rates possible. You will feel like a pro gamer with this laptop under your fingers. You might not have heard of the name Eluktronics, but what if I was to say that 96% of reviews on Amazon for the N857HK1 are 5 out of 5 star, and the remaining 4% are 4 star? That got your attention. 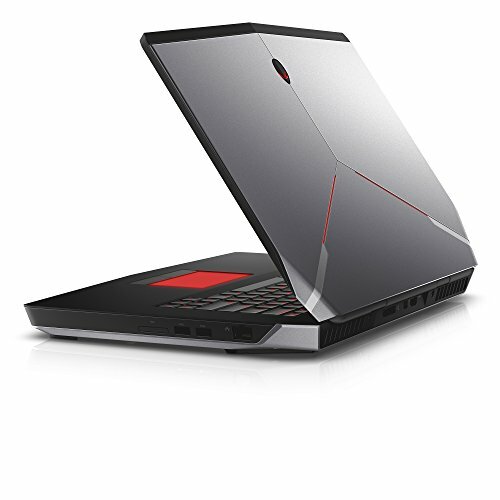 Eluktronics are a company that not only make their own gaming laptops, but also customize and upgrade other brand’s models to make legendary gaming laptops. THe N857HK1 is one of their own creations and it stacks up incredibly well against its competitors. On the surface, you have a red-lit exterior and back-lit keyboard, the eye catching effect of this is only a hint at the magnitude of what resides within the case. To begin with there is the latest i7-7700HQ Quad Core processor. For memory, you get a staggering 32 GB DDR4 RAM and this is bolstered by the NVIDIA GeForce GTX 1050Ti dedicated 4 GB graphics card. For storage, there is a large Pro-X Ultra Performance 512 GB SSD as well as a FireCuda 2 TB SSHD hybrid drive. More storage than you can shake a stick at. With this amount of memory and storage, the Eluktronics N857HK1 is great for games now and in the future too. In terms of connectivity, the Eluktronics N857HK1 has 2 USB 3.0 ports, 1 USB 2.0 and 1 USB 3.1 ports, as well as the standard HDMI, Ethernet, headphone and mic jacks and multi SD Card Reader. There is also 2 Mini DisplayPorts to round off a beast that can satisfy a connection to all your external devices and get you gaming on the next level. 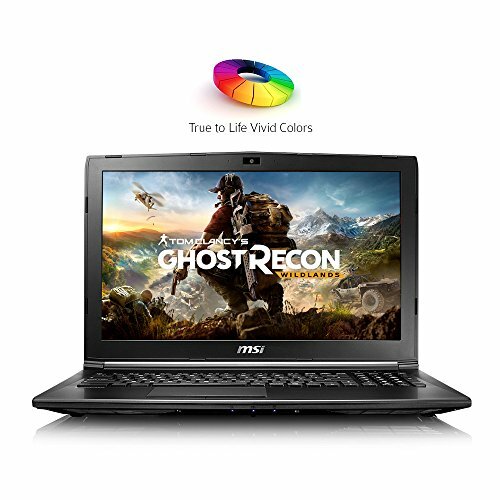 If you have a little less budget but still want to get your hands on a great performer, the MSI GL62M 7RD-1407 is one of the best gaming laptops around in it’s price range. It might be the cheapest on this list, but it is a real contender. Under the hood you get a 7th generation i5-7300HQ processor, GTX 1050 2 GB dedicated graphics card, 8 GB of RAM and a 256GB SSD. That’s an incredible amount of power and storage for the price, considering the SSD. That’s not all you get though. The SteelSeries gaming keyboard and Cooler Boost 4 cooling system add to the arsenal of features available in this laptop and make it a true owner of its place in this list. 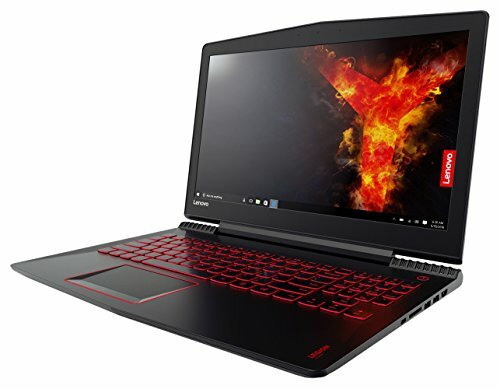 Lenovo’s entry to the list is the Legion Y520 gaming laptop, and it earns its place with no hesitation. On the surface, the modest slimline and light weight case hides it’s inner glory well. The only clue to the glory that lies within is the red back-lit keyboard that suggests this is not your average laptop. On the inside, the Lenovo Legion Y520 packs a punch with its latest generation i5-7300HQ processor and 4 GB dedicated Nvidia GeForce GTX 1050 Ti graphics card. The sounds quality matches the graphics well with 2W Harman speakers that utilise Dolby Audio Premium. The Legion Y520 comes with 8GB DDR4 DRAM for quick multitasking and performance, and a 256GB PCIe Solid State Drive for extremely quick storage and startup. The cooling system has been optimized to ensure critical parts are temperature regulated to keep you gaming comfortably and without a drop in performance in those long sessions. Alienware has been a premier gaming hardware company for years, so you can count on their laptops on being some of the best around. They may have higher price tags, but they come with some of the absolute best hardware available. Although it’s not the only laptop with the NVIDIA GeForce GTX 970M, it’s the only one on this list with an ultra-HD option. There’s no doubt that your games will look the best on this screen. There are some mighty gaming laptops there for sure, something for everyone and a range of budgets. But here is where things get interesting. This is where we meed the cream of the cream, the needles in the haystack, the best of the best. We move into the world of the best gaming laptops where money is not an issue. Staggering power and presence with a price tag to match. 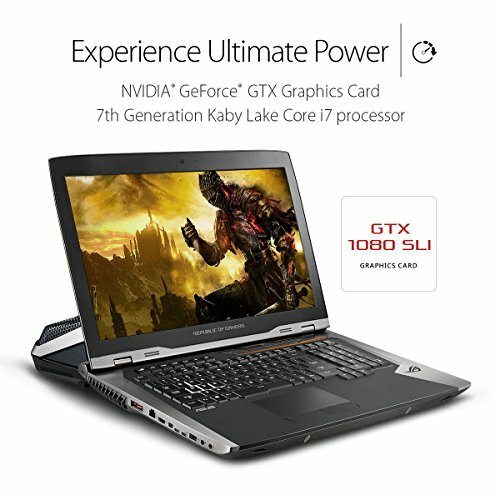 It might be expensive but for the elite gamers, this laptop is the difference between great gaming and next level game changing. 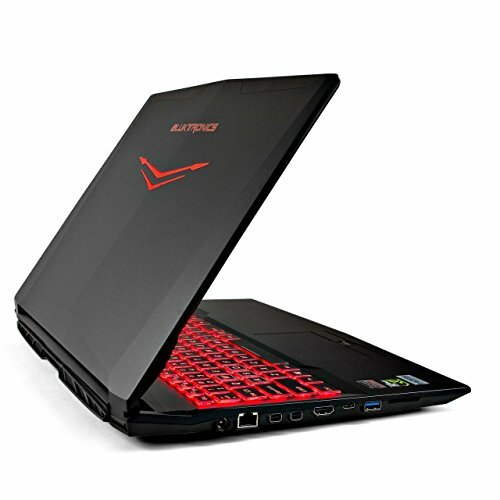 Enter the Predator 21 X Gaming Laptop. It’s very presence sends a chill, with its tough skinned exterior fitting its ‘Predator’ name with perfection. Once you get past the intimidating exterior, you can see that the insides are just as fierce. With dual NVIDIA GeForce GTX 1080 in SLI providing 16 GB of dedicated gaming RAM and 64GB DDR4 Memory this thing can fly like a rocket. Imagine your games at full spec without the laptop even breaking a sweat. All that power is brought to you by the 7th Gen Intel Core i7-7820HK processor which sits confidently at the helm and can clock up to 3.9 GHz. The 21 inch Curved display with G-Sync is not 4K, which some people find dissapointing given the price tag, but it is 2560 x 1080 WFHD, much greater than your standard FHD display. To avoid overwhelming heat from all this tech, the Predator 21 X Gaming Laptop comes with a 5 fan cooling system, and 3 of the fans are AeroBlade Metal to keep your CPU and GPU at a nominal operating temperature. 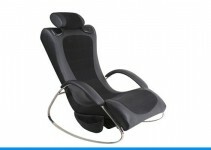 Nine heat pipes dissipate the heat to complete the cooling system in incredibly efficient fashion. 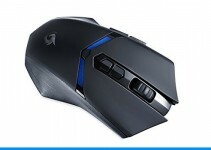 The built in gaming keyboard utilises Cherry MX switches, there is 4.2 surround sound, eye tracking, the list goes on! If you get the chance, play on one of these It is one thing to be told what it does, it is another thing entirely to see for yourself. 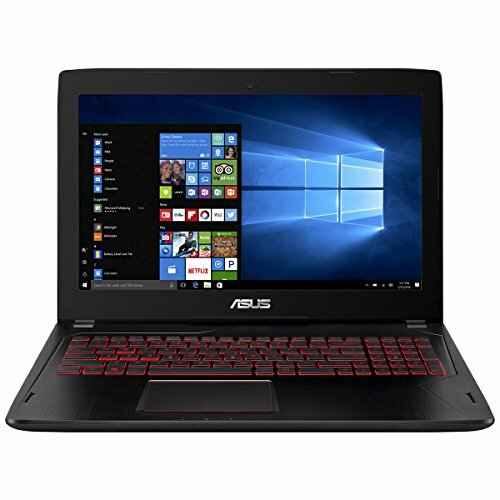 Next on the list is another ASUS, and it’s easy to see why their name is synonymous with great gaming laptops. 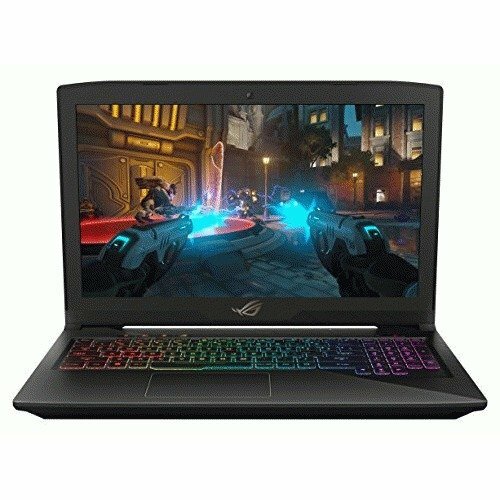 At the price of a decent second hand car, the ASUS ROG GX800VH Liquid-Cooled gaming laptop, is an investment that might not appreciate in value, but it will certainly provide you an unmatched gaming experience. The 7th Generation Kaby Lake Core 2.7 GHz i7 processor is overclockable and the dual GeForce GTX 1080 Graphics in SLI are liquid cooled. Oh yes, this laptop means business of that there is no doubt. In terms of memory, well the ASUS ROG GX800VH Liquid-Cooled gaming laptop comes with a mighty 64 GB of DDR4 RAM, much more than you will need for a long time. Storage is taken care of with 1.5 TB of SSD memory, spread over three 512 GB drives, and there are more connectivity ports than you can count! Some of the bells and whistles include the tailor made luggage case and the back-lit gaming keyboard sporting Cherry MX switches and the permanent grin that you inherit as an owner knowing that you are going to own every single one of your opponents. The 18.4 inch screen is 4k UHD which is another great feature for the money. 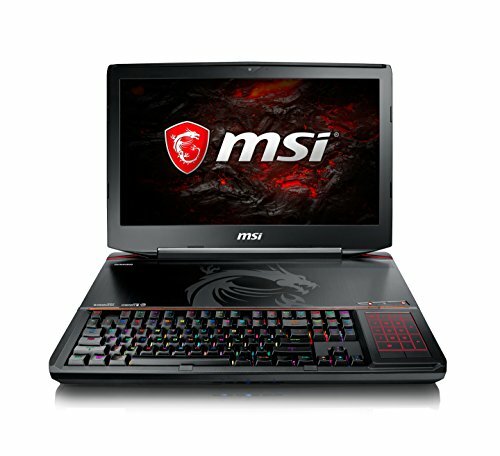 MSI build great gaming laptops, that is a fact. The GT83VR Titan however, is more like a portable desktop than a laptop. Titan by name and Titan by nature, this thing is huge and weighty, and so is the power pack. But with so much tech packed inside, can you really expect it to be light? The only real let down with this, as with the Predator, is the absence of a 4K screen but we can forgive that for the incredible performance that the GT83VR Titan gaming laptop provides. The GT83VR Titan comes with 64 GB RAM, abundant SSD storage, the latest H series i7 processor (perfect for VR Gaming), and GeForce GTX 1080 SLI GPU dedicated graphics card. It comes with a stack of features optimized for VR, a mechanical keyboard with silver Cherry MX switches, SteelSeries Engine 3 for the mechanical keyboard and back-lit features and too many more features to mention. For a full spec check out amazon but be warned, you might never sleep again until you own this monster. Razer is a name you most often associate to mechanical keyboards, and the Blade Pro is their only entry in this list. But what an entry it is. 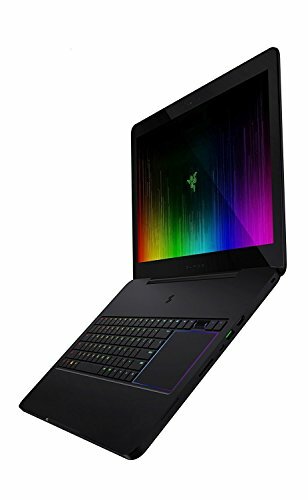 For next level VR or 4K UHD gaming, the Razer Blade Pro Touchscreen Gaming Laptop has set a very high bar for it’s competitors. Featuring a 17 inch 4K UHD screen, this behemoth is essentially a ‘desktop replacement’ rather than a laptop. Think of it as that. This may be why it is one of the first ‘mobile devices’ to receive a THX Certification. Under the modest hood, you get an overlocked 7th Gen Intel Core i7 Quad-Core processor (2.9 GHz up to 3.9 GHz with turbo boost or 4.3 GHz overclocked), an 8 GB dedicated NVIDIA GeForce GTX 1080 graphics card, and one of the best Razer mechanical keyboards you could imagine in a laptop. 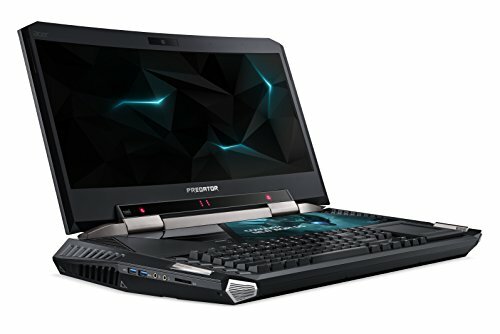 These features give you desktop quality gaming in a laptop, and that’s a line that manufacturers have been trying to cross for a very long time. With 32 GB RAM and a 2 TB SSD there is ample memory and storage and the Thunderbolt USB-C port allows you to set yourself up with a second 4K monitor for epic multi screen gaming. I could write all day about this outstanding gaming laptop, but then i’d miss out on all the fun of gaming myself. So on that note, I shall bring this to an end, wish you all well in the search for your gaming nirvana and hopefully we have helped you find the machine of your dreams in this list of the best.